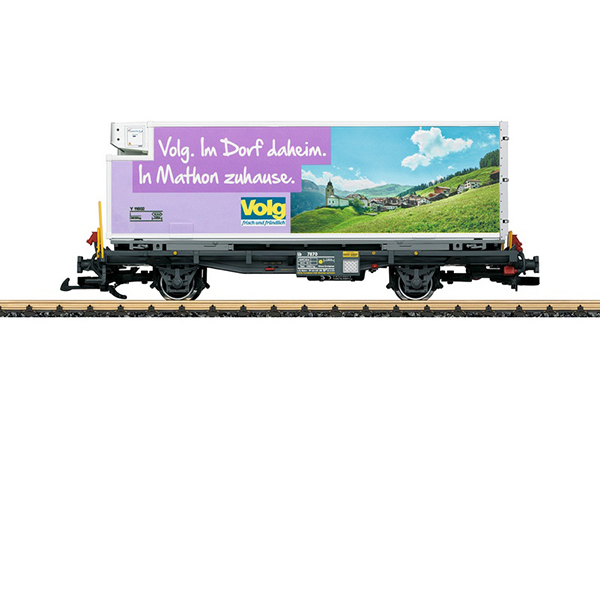 Model: This is an RhB container transport car, loaded with a removable refrigerator container for VOLG Consumer Products, Inc. The paint and lettering are prototypical for Era VI. The car has a new car number. It also has metal solid wheel sets. Length over the buffers 41 cm / 16-1/8".